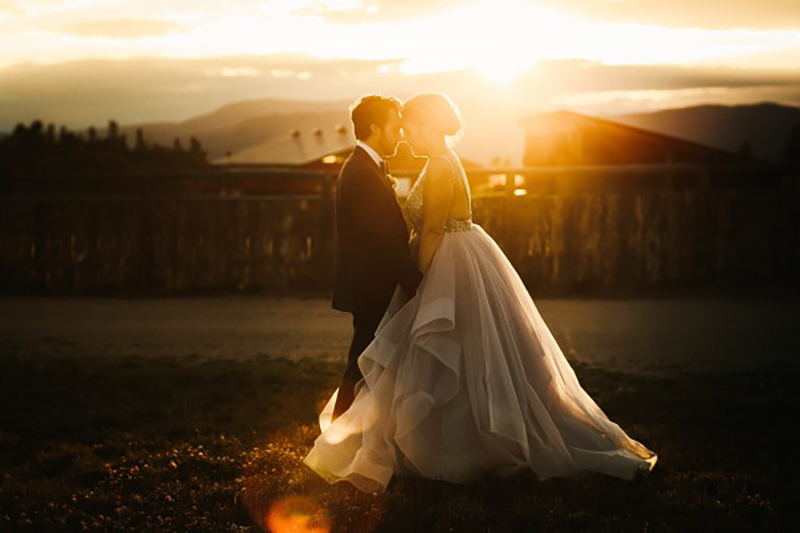 Kelsey and Stephen selected Strawberry Creek Ranch in Granby, Colorado as their wedding venue in order to celebrate their love in full view of the magnificent Rocky Mountains. 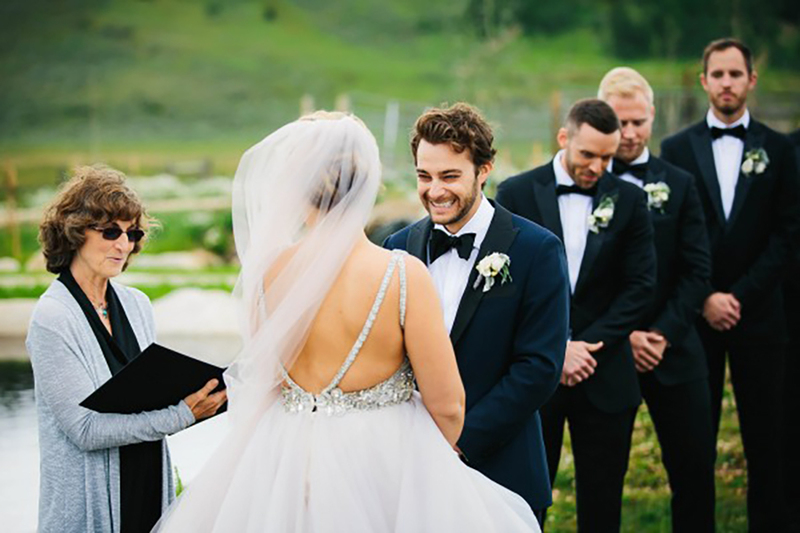 The ranch’s aspen trees and colorful wildflowers served as a vibrant backdrop for Kelsey’s dreamy “Dori” wedding gown (by Hayley Paige) and Stephen’s crisp tux. 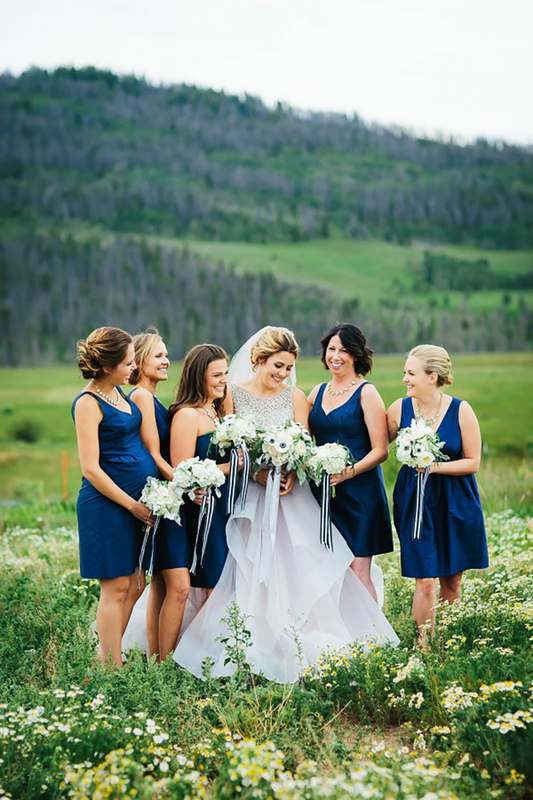 The bridal and bridesmaids bouquets kept things fresh and romantic with a mix of anemones and sage. 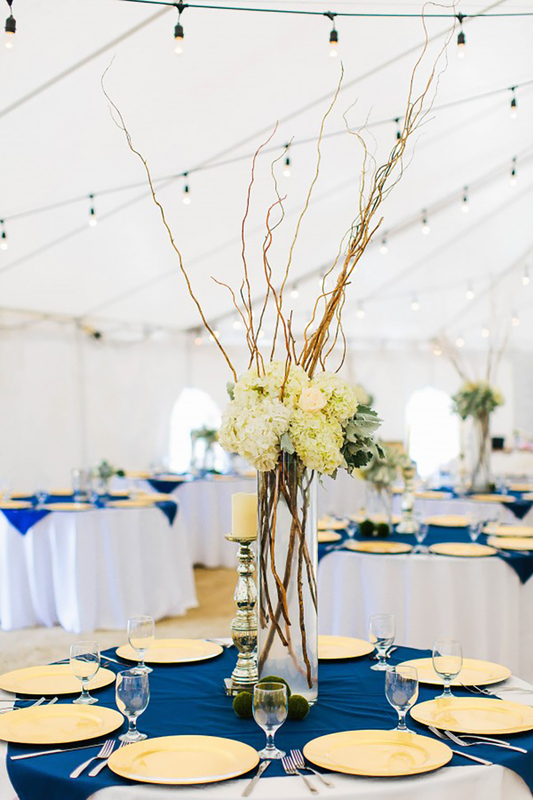 The celebration was the epitome of simple elegance with a color palette of metallics, black, white, grey, and blue. 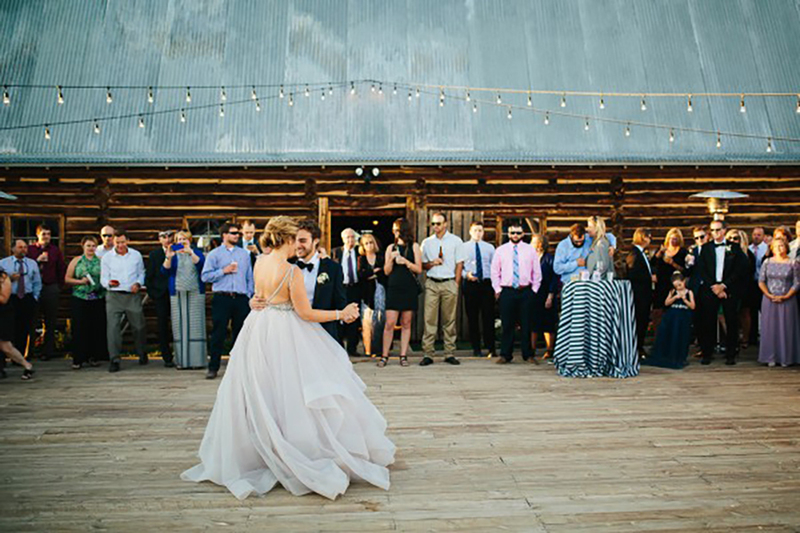 We especially love all the cake options at the dessert table!